I am going to ask you to recognize that the coaching process requires your commitment. Some discomfort accompanies the behavioral changes that will eventually assure your success. Everyone is averse to discomfort, but 18 years of experience has demonstrated to me that you must come to coaching with a desire to face your fears. If you will, you can improve everything about your life. A sense of commitment and belief in one’s ability to change greatly facilitates any chances for improvement. The life and spiritual essentials outlined here serve as the initial assumptions of the coaching process and the process of change. My goal at PEAKS is to help you feel good about your overall direction in life, and to help you discover that emotional growth always feels good. You are entitled to pursue the best life possible. You have a responsibility to determine what is right for you. You have a responsibility to determine what is right for your family. You have a humanitarian obligation to not infringe on the rights of others. You have a humanitarian obligation to not infringe on the rights of your children. You have a humanitarian obligation to help your children fulfill their potential. You are entitled to a rich and fulfilling life by being competent, proficient, and cooperative. You are entitled to a rich and fulfilling life by being accepting of others and accepting your uniqueness. You are encouraged to be a moral person, humbled by beauty, and honest with yourself. You are entitled to the freedom to move and shape your own life. You are entitled to achieve your dreams and ambitions with the proper effort. You are entitled to build a foundation where the basic needs of life must be fulfilled. You are entitled to grow, prosper, and find happiness. You are entitled to allow all living things to enhance their capacity for survival. You are entitled, simply by birth, to the rights to dignity, respect, privacy and self expression. You are entitled to expect your parents to defend these rights for you as a child. You are entitled to defend these rights as an adult. As young children, our first interactions with the world involve another person. This other person, generally the mother, otherwise known as the caregiver, forms the basis for the initial experience of the child’s developing sense of a personal self, and performs the first relationship function between the child and its interactions with the outer-world. Since the child’s brain has nothing to base its understanding of its “self” or the external world upon, the developing child perceives its “self” and its “world” through the tone of voice, facial gestures and bodily reactions of the mother/caregiver. In other words, the child’s sense of self is given to it by the mother/caregiver. This process is called “Internalization of the Self”. Every child is born with a human potential for superior performance. That potential consists of its genetic makeup, which means the genetic traits that are passed on to the child from mother and father through their genes. The other aspect of every child’s potential is the environmental experience that the child is raised within. The nurturing supportive environment minimizes the creation of tension and avoids the creation of conflicts between the child’s genetic self and the environmental experience. This minimized tension environment permits the natural unfolding of the developing neurological brain, which is guided by the child’s genome. The un-nurturing and un-supportive environment maximizes the creation of tension and conflict between the child’s genetic self and the environmental experience. This maximized tension and conflict environment inhibits the natural unfolding of the developing neurological brain, which is guided by the child’s genome. The negativity affects the child’s experience and understanding of the world around them. The developing brain responds to accommodate the negativity. There is a genetic expectation in the neurological unfolding of the genome. The brain of the child expects to interact with the environment in a certain way. When these expectations are not met, the brain searches for alternative behaviors to get back on track, but these alternative behaviors in childhood do not function very well in adulthood. The combination of the developing brain expecting positive interaction and the accumulated negative experience interacting with the world creates the human psyche. The human psyche is either positively biased to explore the world and establish their presence in the world or negatively biased to withdraw or chronically attack the world. When working with adults, they have arrived at a time in life when they typically have personal and professional goals that reflect who they are or what they want to create for themselves. This is an unconscious process and is automatic in a healthy psyche. This would be described as a feeling that drives them in a certain direction to believe certain types of beliefs and behave in a certain manner over and over and over again…everyday: it feels normal to them. Seeking to achieve their personal and professional goals is a natural extension of who they feel they are or have become. Any feelings that contribute to achieving those goals would be considered supportive, positive influences, while any feelings that contribute to frustration regarding the achievement of these goals would be considered negative influences. Both positive and negative influences feel normal to the person, and they follow either feeling for the remainder of their life. 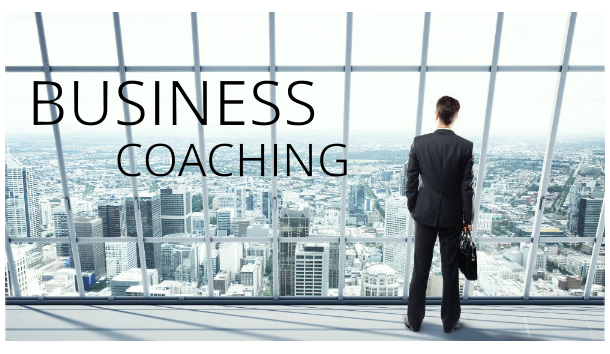 Coaching begins with the presumption that the client does possess the necessary ingredients to achieve their goals, but experience mild to moderate obstacles which makes completing their goal fulfillment difficult but possible. This can be changed with practice. Therapy begins with the presumption that the client does possess the necessary ingredients to achieve their goals, but experience moderate to major obstacles which make completing their goal fulfillment impossible. This can be changed with commitment and effort. 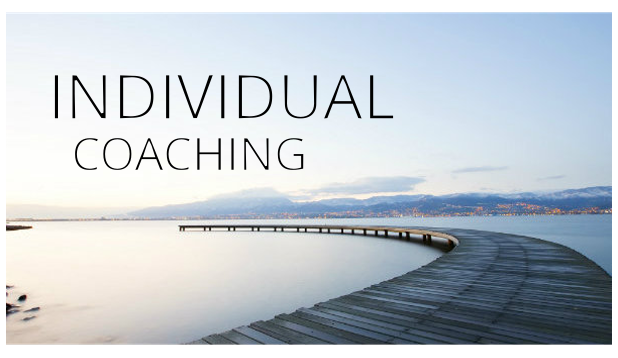 The coaching process proceeds like an ongoing athletic partnership: one person helps another person fulfill their personal and professional expectations, through a transfer of knowledge that leads to a deliberate implementation, and thus a logical improvement in performance, which then, in turn, leads to an enhanced quality of life. In this state, practice and cooperation come natural to the relationship. The therapy process proceeds like a doctor and patient relationship: one person is expected to possess the knowledge to understand the dysfunctional patient and the techniques to help the patient make the necessary psychic adjustment. Systematically, therapy involves correcting the distortions that they have accumulated while growing up, which are responsible for dysfunctional thought and behavior. Therapy involves healing unresolved psychological conflicts and tensions from the past, so that a natural unfolding of the neurological brain can begin again; all while appropriately adapting to the current environment. This process allows the brain to rewire itself to regain its positive survival profile. Both coaching and therapy seek to accomplish specific emotional and performance adjustments; some of which can be articulated in conversation, and some of which are beneath consciousness and can only be manipulated indirectly through new behaviors. In both formats, the clients desire to move forward in life is paramount. In the coaching process, the act of moving forward is to improve performance. In the therapy process, the act of moving forward is to begin to grow again and to see the components of their life in a different light that is more natural and mature. 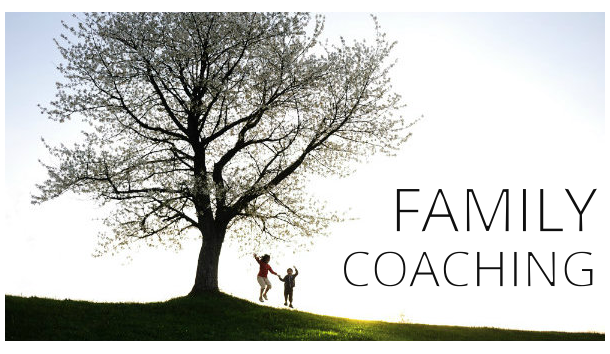 As a result of successful coaching or therapy, one’s life becomes more constructive and productive, which leads to achieving one’s theoretical full potential. While both coaching and therapy seek to find solutions to one’s current existence, the path to those solutions is different, because the needs of the client are different. Some clients need to be supported and encouraged, while others need to be educated and held accountable for what they didn’t get in childhood: such as to be permitted to express their deeper feeling of disappointment and resentment over that reality of their early life. In both coaching and therapy, the need to work with the truth becomes the healing force behind all personal growth. In the coaching process, you are either doing the work or you are not. You have to be honest with yourself. In the therapy process, you begin by reiterating your fantasy of the truth. This reiteration is confronted over and over again by the therapist until the falsity of your self-image becomes undeniable and a new reality begins to take shape. The process of achieving mental health begins by telling the truth about what we need in our lives in order to live up to our full, actualized potential. This process can begin and end as a coaching process, or it begins as a therapy process and evolves into and ends as a coaching process. the GLORY of your achievement. Money, Spouses, Children, and Behavior Addictions never fill the void of emptiness.